Chart Analysis to Show How Bitcoin Gets Over $13,000 in March! After a strong week in Bitcoin, we are approaching the first key resistance zone in the upper $11K range. I think we could see a pullback over the next few days but that will set up a very strong and bullish pattern on the daily chart that could take us as high as $14,000 over the next few weeks. https://nodeinvestor.com/wp-content/uploads/2018/03/Node-Investor-Thumb-4.jpg 1080 1920 Jeanette A https://nodeinvestor.com/wp-content/uploads/2017/04/NodeInvestor-logo1-300x170.png Jeanette A2018-03-03 23:03:532018-03-03 23:09:38Chart Analysis to Show How Bitcoin Gets Over $13,000 in March! I discuss the new highs in Bitcoin as prices moved back over $6000 USD plus give a technical analysis update for Ethereum, Litecoin, NEO & OmiseGo. We continue to see altcoins dump on bitcoin rallies and many are wondering if we’ll ever see the kind of massive altcoin rally we saw earlier this year. I’ll share my thoughts on the total market cap and bitcoin’s dominance. Bitcoin has risen from the lows of around $3000 in mid-September back to near $4400. 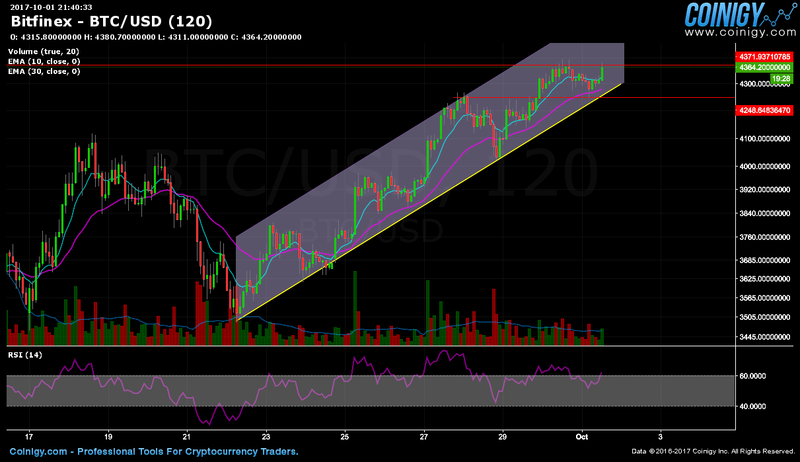 We are now at what was major resistance before the break. I expect there to be a pause here. BTC has been riding up a nice channel since around $3500 so any break of that trend to the downside will signal that pause. 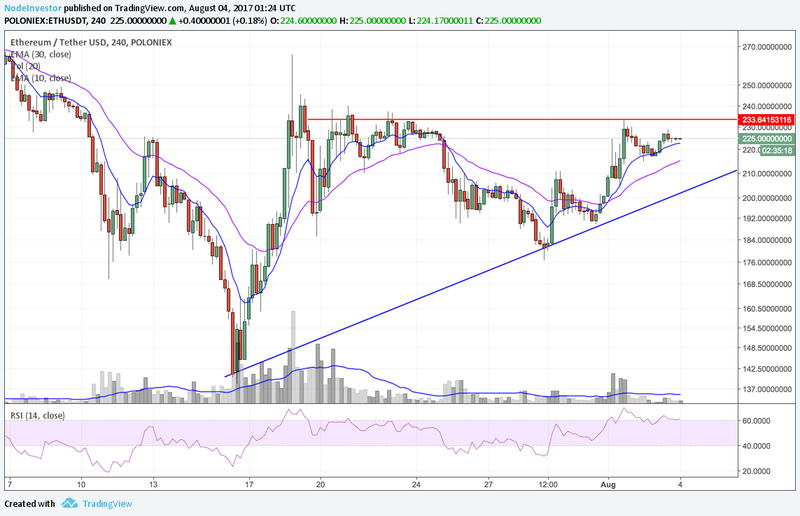 NEO has also asserted itself as a leader in this recent rally and continues to shows great strength. 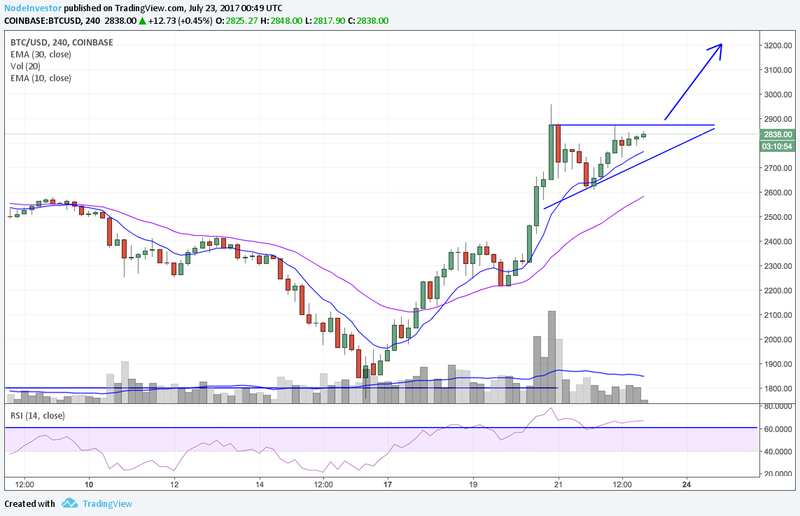 This will be a key week for both Bitcoin & NEO as they are right at resistance points. 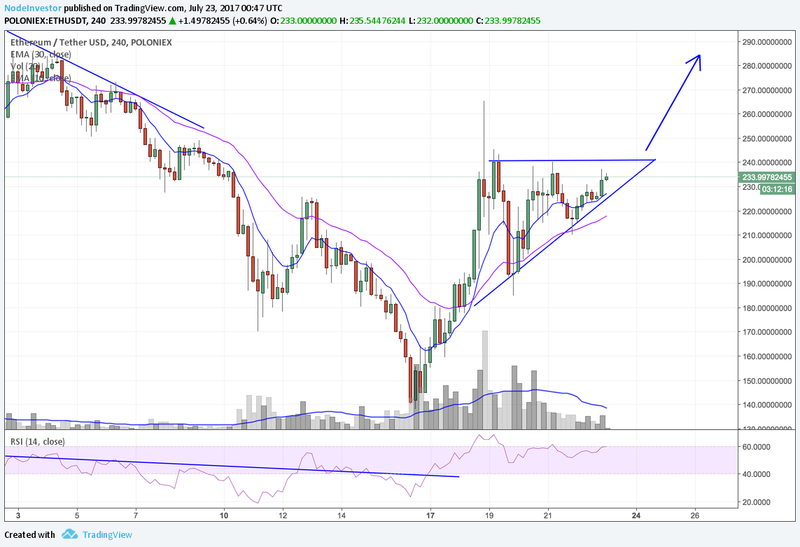 NEO however has recently broken out of bull flag pattern and if it gets above 850k satoshi level, we could see another strong leg up to around 1000. I posted a video recently outlining the key levels I’m watching for Bitcoin, NEO, Ethereum and a handful of altcoins I’m watching here. In summary, the market remains in bull-mode but a pullback would be normal here. We’re starting to hear more noise around another coming hard fork for Bitcoin in November and counties around the world continue to sound the alarms on ICOs and Cryptocurrency regulation. I do not expect that to go away anytime soon. 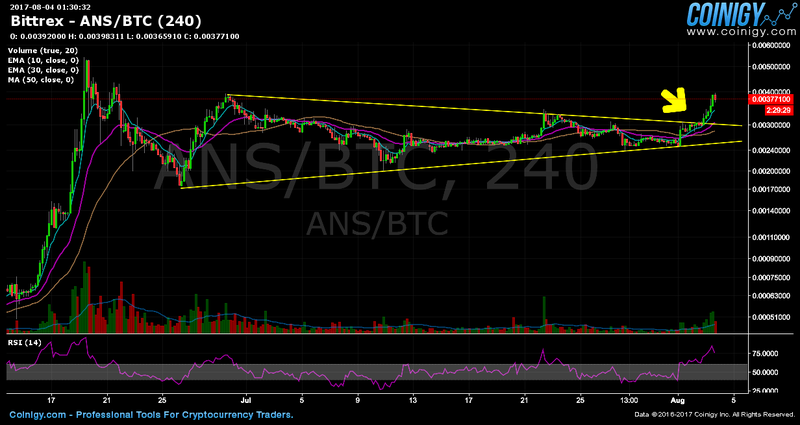 Below is the latest video with the technical analysis on the coins I mentioned here. Below are the videos and notes from the recent live streams covering selling strategies. This covers my thoughts on when to take profits and when respond to sell signals. July has been one of the most volatile months in recently history for the cryptocurrency markets and as we approach August 1st, it could get even more wild. I posted a video recently on my thoughts for the upcoming week. Bitcoin and Bitcoin Cash will be huge drivers of what happens this weeks. 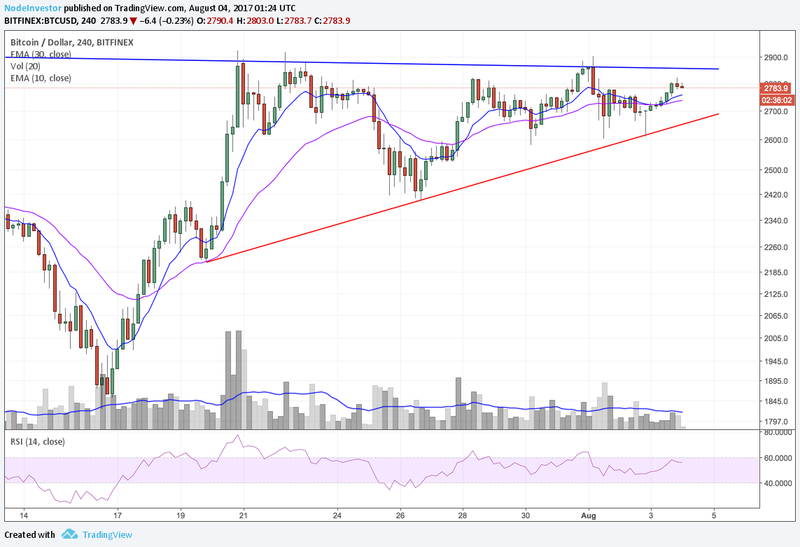 We’ll take an in-depth look at the charts for Bitcoin, Ethereum, Litecoin, Dash, EOS and Antshares/NEO. My experience in the markets is that tops don’t form in a day and neither do bottoms. Perhaps the recent selling was the low-point for now and we bounce around for a while before going up again. Perhaps we see another sharp leg down. Either way, the biggest clues will come from Bitcoin so let’s look at that chart to see if we’ve hit a bottom. Above is the daily chart of BTC with Fibonacci levels being measured from $1200 up to the top at $3000. It’s clear a descending triangle is forming following the big drop in early June. This is a bearish formation that leads to a sharp leg down if the support zone is broken. Right now, that support zone is between $2250 and $2400. Bitcoin is currently right in the middle of that zone which also happens to coincide with the 38% retracement level. So far, support is holding and the RSI is still around 40, both positive signs for now. The shorter term moving averages are now turning bearish as well. If the current support levels break, the next stop is $2100. If that level breaks then the next level of support is the zone between $1800 – $1900. If we get that far down, that is where I believe Bitcoin will form a solid bottom and would be a tremendous buying opportunity. I would wait to see the $2500 level recaptured and ultimately the $2600 level before feeling confident about a new rally and making larger capital commitments. Below is the daily chart of Ethereum with Fibonacci levels being measured from $53 up to the top at $400. The drop in Ethereum has been steep and quick. The selling in ETH has also triggered deep corrections in most of the other altcoins. While the downtrend is still in tact, we are currently as key Fibonacci ratio that historically acts as major support. Volume has been very high today so this may be a low point for now. If this level does not hold, then we could see prices drop to the $140-$160 range as that coincides with the last base as well as the next Fib level. We are currently deeply oversold so a rally up to the $240 area could be next. I would like to see the downtrend broken and the $260 and ultimately the $300 marks recaptured. 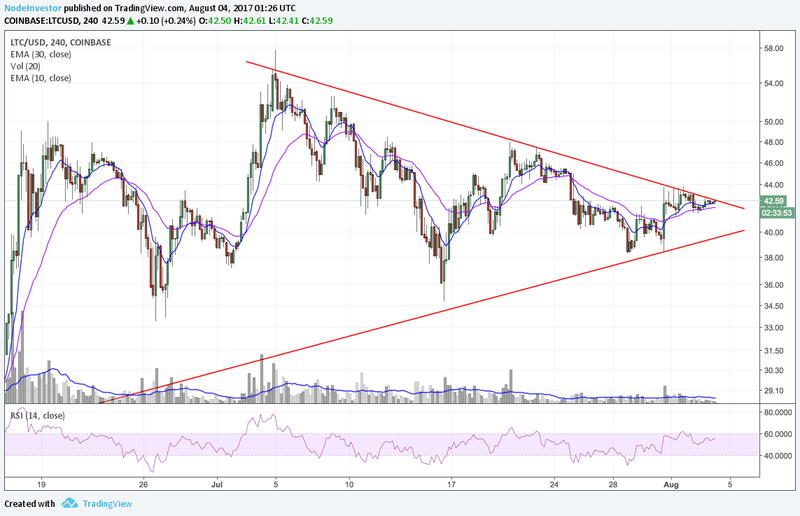 If you like ETH long-term, this may be a great place to look at it. If it were me, I would wait at this point and assess how strong the bounce is. We could rally strong from here but I would keep a close watch on these support levels because if they break, then we could see another sharp leg down. I am personally not making an new buys right now. I may look for some short-term trades if the rally begins but will likely take profits as we approach resistance and reassess the markets from there. 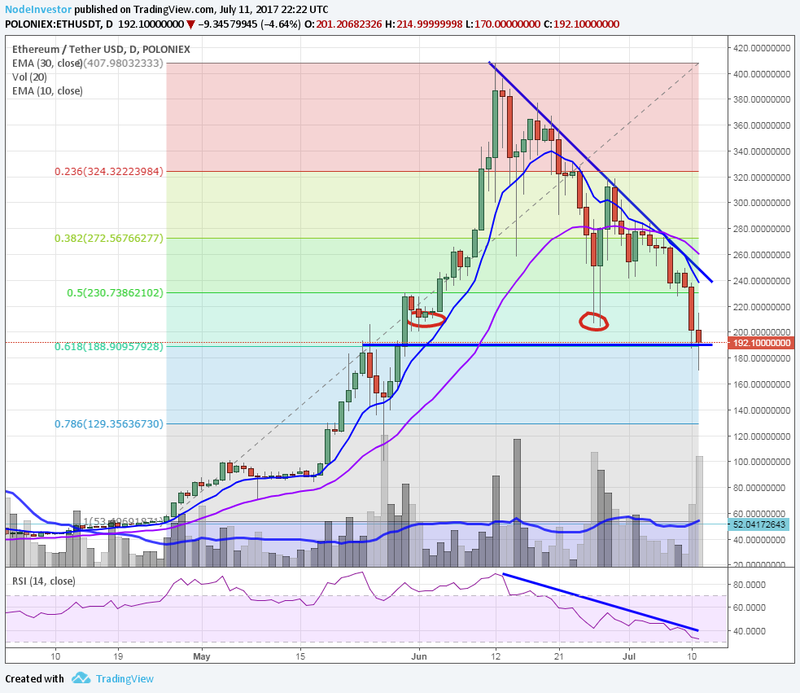 There are several altcoins that are key support levels and have already seen deep corrections. Many of these could offer great buying opportunities here for longer term value plays but I would not expect huge gains right away. Some of those right now are Siacoin, Stratis, Golem, Anshares/NEO, Waves and NEM. I would also be looking at Litecoin and Ethereum. With all of these however, one should keep a very tight stop loss in place (physical or mental) and be ready to step aside and if heavy selling ensues. I don’t like to post my portfolio allocations because I can change them often and sometime drastically based on market conditions. So full disclaimer, by the time you read this, it may be different. First off, I’m am in a 50% cash position and have increased my fiat from 25% just a few days ago. I continue to take a conservative approach right now and remain cautious with any new buys. As of this writing, my largest holding is Litecoin and it has served me well during this recent selling. I still have a little Bitcoin but have sold a lot of it and will wait before getting back in. I have essentially no Ethereum right now. I do have several small positions in a handful of altcoins that add up to about 10%. I recently (past days/weeks) exited many positions as support levels and stop losses were taken out. For now I’m on the hunt for set ups and bottom formations and will step back in when it looks like a good low has been established. No doubt there will be some trade-able rallies between now and then but as for longer term holds, I want the trend in my favor first. I think we’ll bounce from here but will ultimately see more downside testing before this correction is over. 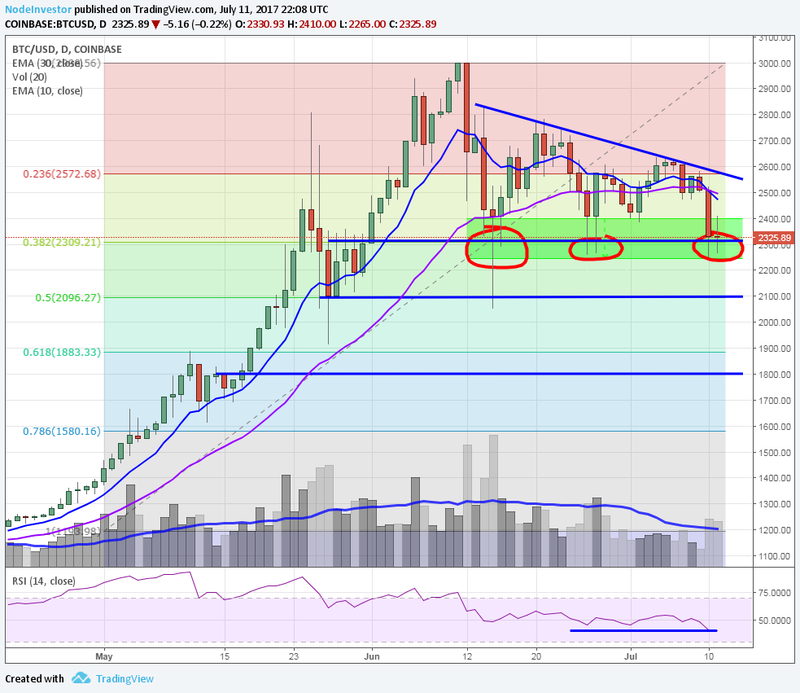 The bottom in ETH may be in but I would not be surprised to see BTC go lower. It’s best to be patient and wait it out instead of guessing bottoms along the way. There will be a bottom! When it shows up, we’ll know and we’ll have many opportunities. The trend will be in our favor and cryptos will be making daily/weekly gains again. They are not going anywhere and blockchain is here to stay! https://nodeinvestor.com/wp-content/uploads/2017/07/marketcrash.jpg 1065 1440 Node Investor https://nodeinvestor.com/wp-content/uploads/2017/04/NodeInvestor-logo1-300x170.png Node Investor2017-07-11 22:50:282017-07-11 22:50:28Was That the Bottom? If you’re an investing or trading cryptocurrncies (or looking to get started), you must have a good understanding of Technical Analysis. Whether you’re brand new to technical analysis or already have a basic understanding and want to increase you skills, this course can help you. By learning how to recognize the 9 key patterns I talk about, understanding how to spot trends, support & resistance and how to use some of the essential indicators, you can begin to quickly interpret the market price action. Understanding how to read the charts will help you optimize your buying and selling as well as show you when you should just hold tight. You may have heard me talk about breakouts, and when that happens I have way more confidence in my position and very often go heavy to maximize the gains. Click Here to purchase the course and to get more info. Below is a video overview of the newly released course on getting started with Technical Analysis.